Each year veteran and emerging regional poets are invited by Art on the Prairie to showcase their work in Poets' Corner. This year we have artists from throughout Iowa. Their topics are as varied as family, livestock, puberty and war. Join us for reading sessions on November 10 from 1:00 p.m. until 5:00 p.m. and bring your friends. After all, poetry is best heard, not read; and it begs for community! Many of the artists will also have books for sale! Marilyn Baszczynski originally from Ontario, Canada, lives and writes in Iowa. Her book, Gyuri. A Poem of wartime Hungary, was published in 2015. Her poetry has also appeared in journals (Abaton, Aurorean, Loch Raven Review, Lyrical Iowa, Midwest Poetry Review, Tipton Poetry Journal, Whistling Shade) and online. 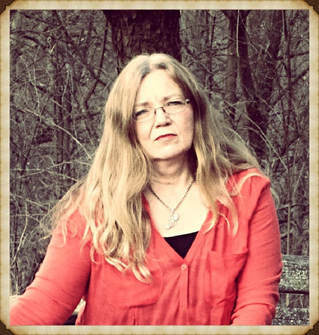 Marilyn is currently Editor of Lyrical Iowa for the Iowa Poetry Association. She says they sing sweetly from bare winter branches. I feel them enter my hours of waiting. and the heat of their breath on my cheek. of her eye. She smiles. June Dove started to write poetry when she was 18 as a hobby. Now that she is older it is a passion. She enjoys writing like she enjoys breathing. In her words, she writes about anything and everything. She has published one book of poems Words that Flow.and is in the process of producing book number two. She also writes short stories, with a few in the making. She enjoys the quiet, walking, and photography. Constantly reminded of the things we used to do. The question is; Where did they go? The walks, and talks, and the very first kiss. Was it truly distance, and circumstances unforeseen. That severed the magnificent bond, between you and me? How deep, strong, and true was the love I had with you. But somehow, arose a thief in the night. Deborah Lewis has been a member of Third Stanza, A Society of Ames Poets since 2010, and her poems have appeared in Lyrical Iowa each year since 2011. She finds that poetry provides an escape from the scientific writing required in her job as a botanist at Iowa State University -- and yet her field work and natural history interests and experiences also frequently sneak into her poems. I’m crazy ‘bout you – your dark eyes, good looks. talkin’ ‘bout places I never even dreamed of. Me, I hardly been outta’ Woolverton’s shadow. you got smooth moves, puttin’ the local clods to shame. ‘cross the fiddle, makin’ tingly music inside a’ me. I’m crazy with you, your corn likker rage comin’ on quick. Cindy for breakin’ the fruit jar, and baby Oscar cries. Didn’t I give you this beautiful boy you always wanted? we just sit and cry in this mountain’s shadow. lockin’ me up a long ways from Woolverton Mountain. I’m gone far from home, but it ain’t nothin’ like you said. ​Wally Moll is a native Iowan currently living in Indianola, Iowa. He retired from the state of Iowa after working over 30 years in Information Technology. Sailing is his favorite hobby in addition to writing poetry. He started writing poetry after meeting his muse in 2004. His poems have appeared in Lyrical Iowa the last three years. before meal of potatoes and meat. mental work would be our life profession. dream for a farm to be our possession. or melt together pieces of steel. the life they dreamed became real. but remember where we started. way to walk when our paths parted. we smell male bovine feces miles away. Steve Rose, a semi-retired Simpson College professor, has been published in numerous publications including The Midwestern Review, The Journal of Medical Literature, Dime Bag of Poetry, and has placed five times in the Lyrical Iowa’s “adult general” category. He won second place in a short story contest, "About a Nebraska Town,” sponsored by the Nebraska Writers’ Guild. He has published two books of poetry: Hard Papas in 2014 and a second book Nebraska and Other States in 2017. His work is also included in a set of collaborative poems with Mark Widrlechner et. al called What We Need" published this last summer. Besides writing and teaching a course in creative nonfiction at Simpson College, he is pursuing bass fishing and bicycling as much as possible while attempting to avoid politics with equal fervor. of their homes as if they were bunkers. praying for her senses to take leave. to search his helmet for a photo of his loved one. ​Dawn Sly-Terpstra is pursuing her lifelong passion of writing poetry, short fiction and non-fiction. She values the mentoring she finds from the poets of Omega and the authors from Iowa Writers Corner. With masters degrees in anthropology and family studies, she enjoys discoveries of culture, magic, and family wherever she travels. With deep roots in her home state of Iowa, she is inspired by connections to the natural world. She has spent a career in communications and marketing and currently leads a corporate communications team. The poem "repose" will appear in this year's Lyrical Iowa. outstretched hand, shell of mussel, time-washed stone. where waters flow each into the other. i lift my chin and smile. Crystal's poetry has previously appeared or is forthcoming in isacoustic*, Tuck Magazine, Writers Resist, Drunk Monkeys, Coldnoon, Poets Reading the News, Jet Fuel Review, Sigma Tau Delta Rectangle, North Central Review, Badlands Review, Green Blotter, Southword Journal Online and Dylan Days. She is currently pursuing her MFA at Iowa State University and gave a TEDx talk called "The Transformative Power of Poetry" this previous April. When she's not writing poetry, one can find her on her roller skates somewhere on a local trail. at my eyes. They are too small and brown. Some men tell me they like brown eyes, they just don’t love me. If smell was sonic, whiskey skin could cello deep sighs. Morning sobers shock a hangover. My eyes are broken levees, but the tears are not destruction. The tears might be destruction. The bigger the mess, the more satisfying the clean. My mind is a coal field stripped bare. The lavender it grows is the love I think I can still give. My heart fancies itself a dandelion and blows wishes. I am an earthy mosaic of dried and seeds, the sweaty ground. If I was a cup of tea, the leaves would be unclothed and float. Robert Tremmel lives and writes in Ankeny, Iowa. He did his undergraduate and graduate work at the University of Iowa and retired as Emeritus Professor of English at Iowa State University. He has published widely in academic books and journals, and has published over two-hundred poems in poetry journals and magazines, including Southern Review, Cincinnati Review, Chariton Review, and The Iowa Review. He is the author of three collections of poetry and a chapbook titled There is a Naked Man. A new collection, The Records of Kosho the Toad, is just out from the Laughing Buddha Series at Bottom Dog Books. The look on that boy’s face. Maggie has been writing poetry since high school. Her first vivid memory of poetry is from English class in high school, listening to her teacher read "The Cremation Of Sam McGee'"by Robert Service. She was hooked. Her earliest poem that survived is titled "Maggie At Eighteen," a conversation with self as she talks to her early morning reflection in her vanity mirror. Now retired, Maggie loves poetry, reading it, writing it, sharing it, spending time with others who love it also. She and retired husband Steve have two children, 6 grandchildren, another like-a-grandchild, and love to spend time together enjoying their family, woodcarving, traveling around the Midwest to carving events and visiting family. And they love spending time at home together, whether it's on the patio while he grills and she sips wine or watching Netflix episodes and movies together in the evenings. They feel truly blessed. inevitably resides four aisles over. another matter of want and need. little company, few calls, car-less. No sense in owning a car when they take your license. get me some Bud Lite? when I want one, I want one. David Wolf, Professor of English at Simpson College, teaches courses in creative writing, composition, contemporary literature, and literary theory. He is the author of five collections of poetry, Open Season, The Moment Forever, Sablier I, Sablier II, and Visions (with artist David Richmond). His work has appeared in The Hampden-Sydney Poetry Review, Hiram Poetry Review, New York Quarterly, Poet & Critic, River Styx Magazine, and numerous other literary magazines and journals. He is also the literary editor for Janus Head: Journal of Interdisciplinary Studies in Literature, Continental Philosophy, Phenomenological Psychology, and the Arts. Born and raised in Des Moines, Iowa, he has lived in Oxford, UK, and in New York, NY, where he worked for several years in magazine publishing. He enjoys traveling and playing in his two bands Weather Beacon Blue and The Sonny Humbucker Band. the green foothill vineyards of the eastern Pyrenees rising above the bay. envisioning Collioure in fat dabs of red, heavy swipes of greens, blues, messes of yellow. “for three days, always three, once it begins to blow,” they say. even the flavor the French call barbe à papa, papa’s beard—bright pink cotton candy.